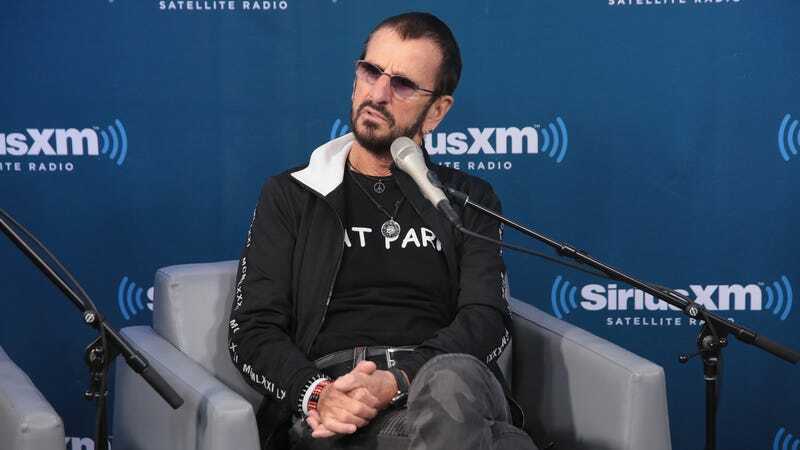 Ringo Starr will join fellow former Beatle Paul McCartney in knighthood, having been included on Queen Elizabeth’s honors list for 2018. Though being a knight IRL is not nearly as cool as they make it look in the movies, he does get to be called “Sir” Ringo Starr in any and all future obituaries, so there’s that. The BBC reports that in addition to Starr, BeeGees cofounder Barry Gibb will also get knighted, along with former Deputy Prime Minister Nick Clegg and novelist Michael Morpurgo, who wrote War Horse. Dancer Darcey Bussell, who judges the British TV show Strictly Come Dancing, will become a dame, while actor Hugh Laurie, on whom I had all the crushes back when he was on House, gets a CBE, or Commander of the Order of the British Empire. Journalist Alexandra Schulman, who previously served as editor-in-chief of British Vogue, has also been awarded a CBE. It is unclear whether any of these people will be invited to the impending nuptials of Prince Harry and Meghan Markle, so while getting on this list is certainly an honor, it’s not the biggest honor, IMO.